A curse. A world of werewolves. A sky with a moon that is always full. 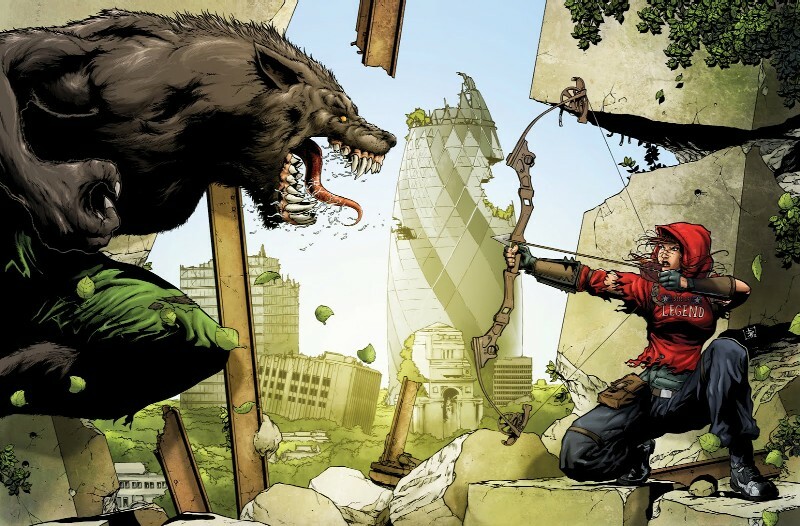 That is what awaits readers in Age of the Wolf, a story arc found in the comic 2000 AD, by writer Alec Worley and artist Jon Davis-Hunt. This comic trilogy is coming to an end soon – and I am just now learning of it. For more information on the final chapter, check out this great interview over at CBR. I must have this comic! Who doesn’t want to read about a werewolf apocalypse? I’m excited to get my hands on this series. How about you? Have any of you read it? If so, what did you think?